The country’s National Assembly voted to approve amending the Act on the Management of Narcotic Drugs to pave the way for non-hallucinogenic dosages of medical cannabis prescriptions. Medical marijuana will still be tightly restricted, but the law’s approval by the central government is seen as a breakthrough in a country many believed would be last – not among the first – to approve any use of cannabis, even if it is just low-THC, or CBD, to start. To receive medical cannabis, patients would be required to apply to the Korea Orphan Drug Center, a government body established to facilitate patient access to rare medicines in the country. Approval would be granted on a case-by-case basis. Patients would also need to receive a prescription from a medical practitioner. South Korea’s cannabis law overcame a major obstacle in July when it won the support of the Ministry of Food and Drug Safety, which said at the time it would permit Epidiolex, Marinol, Cesamet and Sativex for conditions including epilepsy, symptoms of HIV/AIDS and cancer-related treatments. On Nov. 23 the ministry said a series of amended laws passed in a National Assembly session will expand the treatment opportunities for patients with rare diseases. A number of other countries had been vying to join Israel as the first countries in Asia to allow medical cannabis, including Thailand and Malaysia. “South Korea legalizing medical cannabis, even if it will be tightly controlled with limited product selection, represents a significant breakthrough for the global cannabis industry,” said Vijay Sappani, CEO of Toronto-based Ela Capital, a venture capital firm exploring emerging markets in the cannabis space. Since October 26, when Sri Lankan president Maithripala Sirisena ousted Ranil Wickremesinghe, the country’s prime minister, and replaced him with former president Mahinda Rajapaksa, the ensuing political crisis has many in the country analyzing the constitutional legitimacy of appointing a prime minister without wider consent. The president also suspended the country’s parliament for three weeks and dissolved the cabinet of ministers. On October 30 and 31, in response to the questionable legitimacy of Wickremesinghe’s removal and the temporary suspension of Parliament, thousands took to the streets of Colombo to demand that Parliament be reconvened in order to resolve the ongoing political crisis. In a news conference, Speaker of Parliament Karu Jayasuriya urged the president to let Wickremesinghe prove his majority support on the parliament floor, and warned of a bloodbath if the impasse continues. 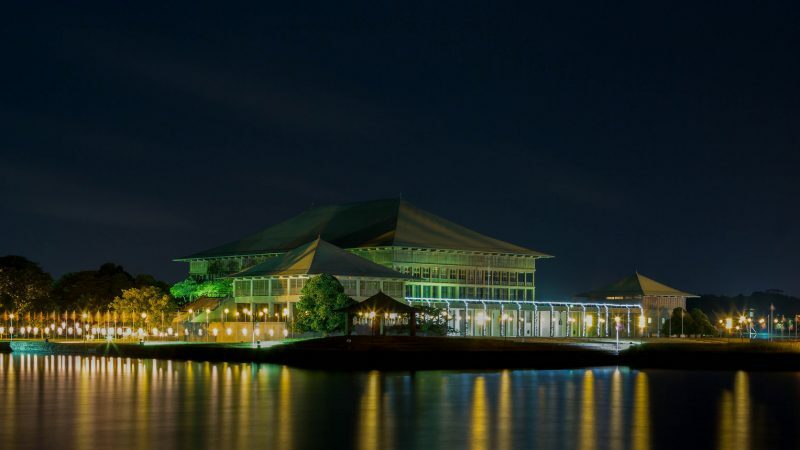 Pressure from protests to reconvene Parliament have borne fruit, as Sirisena has scheduled a parliamentary vote to decide who is the lawful prime minister on November 7. The resort to violence and coercion is a chilling reminder of what dictatorship looks like. The coup is being followed by a return to the norms of self-censorship, violence, and fear that were characteristic of Rajapaksa-era politics. State media institutions were stormed in the night and security for the Prime Minister and Ministers arbitrarily withdrawn. Moreover, many private media stations are already becoming vehicles for misinforming the public and spreading disinformation. Sirisena told reporters that he removed Wickremesinghe after discovering that the latter was involved in an assassination plot against him. But it is believed that the current situation is, in fact, a by-product of the existing power struggle between Sirisena, Wickremesinghe, and Rajapaksa. In January 2015, then-President Mahinda Rajapaksa called for a presidential election in a bid to consolidate his power and to seek a third term in office. Sirisena, a former minister in Rajapaksa’s government, defected from Rajapaksa’s Sri Lanka Freedom Party (SLFP) and was nominated as a candidate by the Wickremesinghe-led United National Party (UNP) to contest the presidency against the incumbent. Sirisena emerged the surprising winner—securing 51.28% votes against Rajapaksa’s 47.28%—and took over as the new president of Sri Lanka. After the election, Rajapaksa handed over leadership of the SLFP party to Sirisena in accordance with the party’s constitution, which states that any member who is President is automatically leader of the party. During the parliamentary elections in August 2015, Siresena’s and Rajapaksa’s factions joined forces to contest the election under the banner of the United People’s Freedom Alliance (UPFA). Wickremesinghe’s UNP-led coalition, however, won 106 seats out of 225, with the UFPA winning 95—55 by the pro-Rajapaksa faction, and 40 by the pro-Sirisena faction. After the parliamentary elections, Sirisena appointed Wickremesinghe prime minister and created a National Government after signing a memorandum of understanding in order to address issues which were not resolved after the end of the 30-year ethnic conflict. Since then, the Rajapaksa-led SLFP faction has been the de-facto opposition party. Over the past two years, however, Rajapaksa has been gaining significant ground, and his party swept the local elections in February 2018. In April 2018, Wickremesinghe survived a no-confidence motion in Parliament brought by supporters of Rajapaksa, a move clearly meant to weaken the already unstable ruling coalition. The growing popularity of Rajapaksa’s SLFP party and existing tensions between Sirisena and Wickremesinghe over the latter’s leaning towards India as a geopolitical partner instead of China, may be one of the many reasons that Sirisena has chosen to appoint Rajapaksa as prime minister. Introduction The conquest of Vietnam by France began in 1858 and was completed by 1884. It became part of French Indochina in 1887. Vietnam declared independence after World War II, but France continued to rule until its 1954 defeat by Communist forces under Ho Chi MINH. Under the Geneva Accords of 1954, Vietnam was divided into the Communist North and anti-Communist South. US economic and military aid to South Vietnam grew through the 1960s in an attempt to bolster the government, but US armed forces were withdrawn following a cease-fire agreement in 1973. Two years later, North Vietnamese forces overran the South reuniting the country under Communist rule. Despite the return of peace, for over a decade the country experienced little economic growth because of conservative leadership policies, the persecution and mass exodus of individuals – many of them successful South Vietnamese merchants – and growing international isolation. However, since the enactment of Vietnam’s “doi moi” (renovation) policy in 1986, Vietnamese authorities have committed to increased economic liberalization and enacted structural reforms needed to modernize the economy and to produce more competitive, export-driven industries. The country continues to experience small-scale protests from various groups, the vast majority connected to land-use issues and the lack of equitable mechanisms for resolving disputes. Various ethnic minorities, such as the Montagnards of the Central Highlands and the Khmer Krom in the southern delta region, have also held protests. The area now known as Vietnam has been inhabited since Paleolithic times, and some archaeological sites in Thanh Hoa Province purportedly date back several thousand years. Archaeologists link the beginnings of Vietnamese civilization to the late Neolithic, Early Bronze Age, Phung-nguyen culture, which was centered in Vinh Phuc Province of contemporary Vietnam from about 2000 to 1400 BCE. By about 1200 BCE, the development of wet-rice cultivation and bronze casting in the Ma River and Red River plains led to the development of the Dong Son culture, notable for its elaborate bronze drums. The bronze weapons, tools, and drums of Dongsonian sites show a Southeast Asian influence that indicates an indigenous origin for the bronze-casting technology. Many small, ancient copper mine sites have been found in northern Vietnam. Some of the similarities between the Dong Sonian sites and other Southeast Asian sites include the presence of boat-shaped coffins and burial jars, stilt dwellings, and evidence of the customs of betel-nut-chewing and teeth-blackening. The legendary Hồng Bàng Dynasty of the Hùng kings is considered by many Vietnamese as the first Vietnamese state, known as Văn Lang. In 257 BCE, the last Hùng king lost to Thục Phán, who consolidated the Lạc Việt tribes with his Âu Việt tribes, forming Âu Lạc and proclaiming himself An Dương Vương. In 207 BCE, a Chinese general named Zhao Tuo defeated An Dương Vương and consolidated Âu Lạc into Nanyue. In 111 BCE, the Chinese Han Dynasty consolidated Nanyue into their empire. For the next thousand years, Vietnam was mostly under Chinese rule. Early independence movements such as those of the Trưng Sisters and of Lady Triệu were only briefly successful. It was independent as Vạn Xuân under the Anterior Ly Dynasty between 544 and 602. By the early 10th century, Vietnam had gained autonomy, but not independence, under the Khúc family. Map of Vietnam showing the conquest of the south (the Nam Tien, 1069-1757). In 938 CE, a Vietnamese lord named Ngô Quyền defeated Chinese forces at the Bạch Đằng River and regained independence after 10 centuries under Chinese control. Renamed as Đại Việt, the nation went through a golden era during the Lý and Trần Dynasties. During the rule of the Trần Dynasty, Đại Việt repelled three Mongol invasions. Buddhism flourished and became the state religion. Following the brief Hồ Dynasty, Vietnamese independence was momentarily interrupted by the Chinese Ming Dynasty, but was restored by Lê Lợi, the founder of the Lê Dynasty. Vietnam reached its zenith in the Lê Dynasty of the 15th century, especially during the reign of Emperor Lê Thánh Tông (1460–1497). Between the 11th and 18th centuries, the Vietnamese expanded southward in a process known as nam tiến (southward expansion). They eventually conquered the kingdom of Champa and part of the Khmer Empire. Towards the end of the Lê Dynasty, civil strife engulfed much of Vietnam. First, the Chinese-supported Mạc Dynasty challenged the Lê Dynasty’s power. After the Mạc Dynasty was defeated, the Lê Dynasty was reinstalled, but with no actual power. Power was divided between the Trịnh Lords in the North and the Nguyễn Lords in the South, who engaged in a civil war for more than four decades. During this time, the Nguyễn expanded southern Vietnam into the Mekong Delta, annexing the Champa in the central highlands and the Khmer land in the Mekong. The civil war ended when the Tây Sơn brothers defeated both and established their new dynasty. However, their rule did not last long and they were defeated by the remnants of the Nguyễn Lords led by Nguyen Anh with the help of the French. Nguyen Anh unified Vietnam, and established the Nguyễn Dynasty, ruling under the name Gia Long. Vietnam’s independence was gradually eroded by France in a series of military conquests from 1859 until 1885 when the entire country became part of French Indochina. The French administration imposed significant political and cultural changes on Vietnamese society. A Western-style system of modern education was developed, and Christianity was propagated widely in Vietnamese society. Developing a plantation economy to promote the exports of tobacco, indigo, tea and coffee, the French largely ignored increasing calls for self-government and civil rights. A nationalist political movement soon emerged, with leaders such as Phan Boi Chau, Phan Chu Trinh, Phan Dinh Phung, Emperor Ham Nghi and Ho Chi Minh calling for independence. However, the French maintained control of their colonies until World War II, when the Japanese war in the Pacific triggered the invasion of French Indochina in 1941. This event was preceded by the establishment of the Vichy French administration, a puppet state of Nazi Germany then ally of the Japanese Empire. The natural resources of Vietnam were exploited for the purposes of the Japanese Empire’s military campaigns into the British Indochinese colonies of Burma, the Malay Peninsula and India. In 1941, the Viet Minh — a communist and nationalist liberation movement — emerged under Ho Chi Minh, to seek independence for Vietnam from France as well as to oppose the Japanese occupation. Following the military defeat of Japan and the fall of its Empire of Vietnam in August 1945, Viet Minh occupied Hanoi and proclaimed a provisional government, which asserted independence on September 2. In the same year the Provisional French Republic sent the French Far East Expeditionary Corps, which was originally created to fight the Japanese occupation forces, in order to pacify the liberation movement and to restore French rule. On November 20, 1946, triggered by the Haiphong Incident, the First Indochina War between Viet Minh and the French forces ensued, lasting until July 20, 1954. Despite fewer losses — Expeditionary Corps suffered 1/3 the casualties of the Chinese and Soviet-backed Viet Minh — during the course of the war, the U.S.-backed French and Vietnamese loyalists eventually suffered a major strategic setback at the Siege of Dien Bien Phu, which allowed Ho Chi Minh to negotiate a ceasefire with a favorable position at the ongoing Geneva conference of 1954. Colonial administration ended as French Indochina was dissolved. According to the Geneva Accords of 1954 the forces of former French supporters and communist nationalists were separated south and north, respectively, with the Vietnamese Demilitarized Zone, at the 17th parallel, between. A Partition of Vietnam, with Ho Chi Minh’s Democratic Republic of Vietnam in North Vietnam, and Emperor Bao Dai’s State of Vietnam in the South Vietnam, was not intended by the 1954 Agreements, and they expressly forbade the interference of third powers. Counter to the counsel of his American advisor, the State of Vietnam Prime Minister Ngo Dinh Diem toppled Bao Dai in a fraudulent referendum organised by his brother Ngo Dinh Nhu, and proclaimed himself president of the Republic of Vietnam. The Accords mandated nationwide elections by 1956, which Diem refused to hold, despite repeated calls from the North for talks to discuss elections. In 1963, Buddhist discontent with Diem’s pro-Catholic discrimination erupted following the banning of the Buddhist flag and the Hue Vesak shootings. This resulted in a series of mass demonstrations known as the Buddhist crisis. With Diem unwilling to bend, his brother orchestrated the Xa Loi Pagoda raids. As a result, the US’ relationship with Diem broke down and resulted in coup that saw Diem killed. Diem was followed by a series of military regimes that often lasted only months before being toppled by another. With this instability, the communists began to gain ground. To support South Vietnam’s struggle against the communist insurgency, the US began increasing its contribution of military advisers. US forces became embroiled in combat operations in 1965 and at their peak they numbered more than 500,000. North Vietnamese forces attacked most major targets in southern Vietnam during the 1968 Tet Offensive. Communist forces supplying the NLF carried supplies along the Truong Son Road, which passed through Laos and Cambodia. The US president authorized Operation Menu, a SAC bombing campaign in Laos and Cambodia, which he kept secret from the US Congress. Its own casualties mounting, and facing opposition to the war at home and condemnation abroad, the U.S. began transferring combat roles to the South Vietnamese military according to the Nixon Doctrine; the process was subsequently called Vietnamization. The effort had mixed results. The Paris Peace Accords of January 27, 1973, formally recognized the sovereignty of Vietnam “as recognized by the 1954 Geneva Agreements”. Under the terms of the accords all American combat troops were withdrawn by March 29, 1973. Limited fighting continued, but all major fighting ended until the North once again sent troops to the South during the Spring of 1975, culminating in the Fall of Saigon on April 30, 1975. South Vietnam briefly became the Republic of South Vietnam, under military occupation by North Vietnam, before being officially integrated with the North under communist rule as the Socialist Republic of Vietnam on July 2, 1976. Upon taking control of the bomb-ravaged country, the Vietnamese communists banned all other political parties, forced public servants and military personnel of the Republic of Vietnam into reeducation camps. The government also embarked on a mass campaign of collectivization of farms and factories. Reconstruction of the war-ravaged country was slow, and serious humanitarian and economic problems confronted the communist regime. Millions of people fled the country in crudely-built boats, creating an international humanitarian crisis. In 1978, the Vietnamese army invaded Cambodia (sparking the Cambodian-Vietnamese War) which removed the Khmer Rouge from power. This action worsened relations with China, which launched a brief incursion into northern Vietnam (the Sino-Vietnamese War) in 1979. This conflict caused Vietnam to rely even more heavily on Soviet economic and military aid. In a historic shift in 1986, the Communist Party of Vietnam implemented free-market reforms known as Đổi Mới (renovation). With the authority of the state remaining unchallenged, private ownership of farms and companies, deregulation and foreign investment were encouraged. The economy of Vietnam has achieved rapid growth in agricultural and industrial production, construction and housing, exports and foreign investment. Politics The Socialist Republic of Vietnam is a single-party state. A new state constitution was approved in April 1992, replacing the 1975 version. The central role of the Communist Party was reasserted in all organs of government, politics and society. Only political organizations affiliated with or endorsed by the Communist Party are permitted to contest elections. These include the Vietnamese Fatherland Front, worker and trade unionist parties. Although the state remains officially committed to socialism as its defining creed, the ideology’s importance has substantially diminished since the 1990s. The President of Vietnam is the titular head of state and the nominal commander in chief of the military of Vietnam, chairing the Council on National Defense and Security. The Prime Minister of Vietnam Nguyen Tan Dung is the head of government, presiding over a council of ministers composed of 3 deputy prime ministers and the heads of 26 ministries and commissions. The National Assembly of Vietnam is the unicameral legislature of the government, composed of 498 members. It is superior to both the executive and judicial branches. All members of the council of ministers are derived from the National Assembly. The Supreme People’s Court of Vietnam, which is the highest court of appeal in the nation, is also answerable to the National Assembly. Beneath the Supreme People’s Court stand the provincial municipal courts and the local courts. Military courts are also a powerful branch of the judiciary with special jurisdiction in matters of national security. All organs of Vietnam’s government are controlled by the Communist Party. Most government appointees are members of the party. The General Secretary of the Communist Party is perhaps one of the most important political leaders in the nation, controlling the party’s national organization and state appointments, as well as setting policy. The Vietnam People’s Army(VPA) is the official name for the combined military services of Vietnam, which is organized along the lines of China’s People’s Liberation Army. The VPA is further subdivided into the Vietnamese People’s Ground Forces (including Strategic Rear Forces and Border Defense Forces), the Vietnam People’s Navy, the Vietnam People’s Air Force and the coast guard. Through Vietnam’s recent history, the VPA has actively been involved in Vietnam’s workforce to develop the economy of Vietnam, in order to coordinate national defense and the economy. The VPA is involved in such areas as industry, agriculture, forestry, fishery and telecommunications. The total strength of the VPA is close to 500,000 officers and enlisted members. The government also organizes and maintains provincial militias and police forces. The role of the military in public life has steadily been reduced since the 1980s. Culture The official spoken and written language of Vietnam is Vietnamese. The culture of Vietnam has been influenced by neighboring China. Due to Vietnam’s long association with the south of China, one characteristic of Vietnamese culture is filial duty. Education and self-betterment are highly valued. Historically, passing the imperial Mandarin exams was the only means for Vietnamese people to socially advance themselves. One of the most popular Vietnamese traditional garments is the “Áo Dài”, worn often for special occasions such as weddings or festivals. White Áo dài is the required uniform for girls in many high schools across Vietnam. Áo Dài was once worn by both genders but today it is worn mainly by females, except for certain important traditional culture-related occasions where some men do wear it. Vietnamese cuisine uses very little oil and many vegetables. The main dishes are often based on rice, soy sauce, and fish sauce. Its characteristic flavors are sweet (sugar), spicy (serrano peppers), sour (lime), nuoc mam (fish sauce), and flavored by a variety of mint and basil. Vietnamese music varies slightly in the three regions: Bắc or North, Trung or Central, and Nam or South. Northern classical music is Vietnam’s oldest and is traditionally more formal. Vietnamese classical music can be traced to the Mongol invasions, when the Vietnamese captured a Chinese opera troupe. Central classical music shows the influences of Champa culture with its melancholic melodies. Southern music exudes a lively attitude. Football (soccer) is the most popular sport in Vietnam. Sports and games such as badminton, tennis, ping pong, and chess are also popular with large segments of the population. Volleyball, especially women’s volleyball, is watched by a fairly large number of Vietnamese people. The (expatriate Vietnamese) community forms a prominent part of Vietnamese cultural life, introducing Western sports, films, music and other cultural activities in the nation. Vietnam is home to a small film industry. Among countless other traditional Vietnamese occasions, the traditional Vietnamese wedding is one of the most important. Many of the age-old customs in a Vietnamese wedding continue to be celebrated by both Vietnamese in Vietnam and overseas, often combining both western and eastern elements. Economy Economy – overview: Vietnam is a densely-populated developing country that in the last 30 years has had to recover from the ravages of war, the loss of financial support from the old Soviet Bloc, and the rigidities of a centrally-planned economy. Since 2001, Vietnamese authorities have reaffirmed their commitment to economic liberalization and international integration. They have moved to implement the structural reforms needed to modernize the economy and to produce more competitive export-driven industries. Vietnam’s membership in the ASEAN Free Trade Area (AFTA) and entry into force of the US-Vietnam Bilateral Trade Agreement in December 2001 have led to even more rapid changes in Vietnam’s trade and economic regime. Vietnam’s exports to the US increased 900% from 2001 to 2007. Vietnam joined the WTO in January 2007 following over a decade long negotiation process. WTO membership has provided Vietnam an anchor to the global market and reinforced the domestic economic reform process. Among other benefits, accession allows Vietnam to take advantage of the phase-out of the Agreement on Textiles and Clothing, which eliminated quotas on textiles and clothing for WTO partners on 1 January 2005. Agriculture’s share of economic output has continued to shrink from about 25% in 2000 to less than 20% in 2008. Deep poverty has declined significantly and is now smaller than that of China, India, and the Philippines. Vietnam is working to create jobs to meet the challenge of a labor force that is growing by more than one-and-a-half million people every year. The global financial crisis, however, will constrain Vietnam’s ability to create jobs and further reduce poverty. As global growth sharply drops in 2009, Vietnam’s export-oriented economy – exports were 68% of GDP in 2007 – will suffer from lower exports, higher unemployment and corporate bankruptcies, and decreased foreign investment. Real GDP growth for 2009 could fall between 4% and 5%. Inflation, which reached nearly 25% in 2008, will likely moderate to single digits in 2009. Tension between India and Pakistan, and the hostility that goes with it, is a ‘constant’ not a ‘variable’. This is what our history of the past seven decades has manifested. This evaluation is neither negativist nor pessimistic. It captures a reality and a trend that has proved to be enduring. Of course, from time to time nations have transcended their past to seek peace but conditions are not ripe for such a breakthrough between India and Pakistan. Pakistan would not abandon its stance on Kashmir, India would not address it the way Pakistan wants, and India would continue to use its new-found diplomatic space and economic prowess to isolate and undermine Pakistan. India would not let go of its accusations of terrorism against Pakistan to delegitimize the Kashmir issue and Pakistan’s nuclear programme. The UN, in this fight, will remain a bystander and India would use its clout with the US, Europe and the Gulf states to diminish Pakistan’s outreach and deny it opportunities to develop its economic and military strength. Pakistan has secured itself by acquiring nuclear capability and its economy is showing promise. The China-Pakistan Economic Corridor (CPEC) alone has given a big boost to Pakistan’s economy and the good news is that many global investors are also taking keen interest in Pakistan. Pakistan has also pursued a very sophisticated and constructive policy towards India in the past several years. The crux of the policy is: try to engage but do not compromise on the core principles. But quite a few of Pakistan’s flanks remain vulnerable involving the Indian factor. In Afghanistan, India’s influence, among others, hampers normalization and reconciliation and that has a direct bearing on Pakistan. Indian commander Kulbhushan Jadhav’s arrest confirms that India has been using Iran’s territory to plan and execute terrorist and subversive activities in Pakistan. In the US, Indian lobby has become so powerful that, in many areas, it holds a veto over the United States’ Pakistan policy. This past week, for instance, pro-India US legislators have been objecting to a sale of F-16 aircraft to Pakistan. The voices are American; but the agenda is India’s. Delhi is making new inroads into the Gulf region among the nations disaffected with Pakistan because of its rather balanced position on Iran-Gulf relations. It is also working constantly on China to dilute its positions in the Nuclear Suppliers Group and the UN Security Council that seem to help Pakistan; and India has protested to China for taking the CPEC through Gilgit-Baltistan. India is demonstrating its ability to hurt Pakistan beyond South Asian borders and shrink its space. In the first few months of 2016, some new patterns have emerged. After the terrorists attack, the Pathankot airbase in India, there wasn’t a general break-drown though this scuttled the proposed talks between foreign secretaries of the two countries. Pakistan’s Joint Investigation Team to look into to the leads on the Pathankot incident was received in India but the team was given limited access defeating the very purpose of the visit. After the arrest of Jadhav, a serving Indian naval officer, Pakistan did not cut off communication with India. Ranking foreign ministry officials have been meeting on the sidelines of multilateral conferences. So a model of grudging, cautious cooperation, albeit fragile and brittle, seems to be emerging. One, it should not take its strong ties with China for granted. There should be no complacency in promoting and expanding ties with our closest strategic cooperative partner. The onus for sustaining and strengthening the relationship is not just on China, but on Pakistan too. Pakistan should have its own people to people contact policy towards China so as to give depth to our ties. Two, do not neglect the US. Though, over the decades, we have lost ground in Washington, the situation is not irredeemable. Pakistan too should use its expanding Diaspora community in the US. A new base has been furnished by the recent high-level bilateral contacts to broaden our relationship to non-security areas. In that realm, development of the Knowledge Corridor will be most productive. Three, through quiet diplomacy repair the damage in the Gulf region and the Middle East. The Gulf countries, though annoyed, still have a bond with Pakistan that would not be snapped, ever. In the Arab Street, Pakistan is seen as a beacon of hope for the Muslims. Besides, today we need Arabs, tomorrow they would need Pakistan, for sure, for economic progress and linkages. Four, Pakistan should explore two new corridors. One should go through Iran branching off to Turkey, the Caucuses, and Europe, in the west, and to Central Asia and Russia, in the north, the other should be our corridor to Africa, the most underutilized potential of our external policy. Five, we should realize that Afghanistan will take a long time to settle down. This year and in 2017, we should brace for a civil war that would have adverse consequences for Pakistan. The Afghan factions would continue to drag Pakistan into their fights and then berate it for all their troubles. So Pakistan should take a very patient and resolute approach. Afghans are now saying that they do not need Pakistan for facilitating peace and reconciliation process; all they want is that we start military operations against Afghan Taliban. At least one Afghan official has said that Afghanistan would send its own squads for attacks on Pakistani soil. This may not just be bluster. Six, with India we should continue to give signals for engagement in a dignified manner. The prospects of resolving problems with India are very slim. There would be escalation whether or not we like it, but we should never let it spin out of control. We need a period of relative calm till 2030 to develop economically and militarily. This is a critical transformative phase in our history as a nation. We should not let it be disrupted by tensions with India; and we should not squander this precious opportunity. Investors are coming to Pakistan; they should not flee. After months of speculation and behind-the-scenes jostling, the 19th National Congress of the Communist Party of China has concluded with outcomes essentially along anticipated lines, with no major surprises. Xi Jinping has emerged with his political authority enhanced; his status as the most powerful Chinese leader in the post-Deng era has been reaffirmed, though it will be premature to put him on par with Mao and Deng. Xi’s vision for the future of China is now enshrined in the party constitution as part of its guiding ideology. The new Politburo is packed with his close associates, though the Politburo Standing Committee is not dominated by his allies. The shift towards personalised rule of the “core leader” has acquired greater momentum (with its attendant risks), but the concept of collective leadership has not been abandoned. With no potential successor included in the new line-up of the Standing Committee, the possibility of Xi staying on as the paramount leader or as the power behind the throne beyond 2022 is kept open, though it is too early to predict how it would pan out. The narrative is all about the “great rejuvenation of the Chinese nation” and “restoration” of China to its rightful great power status by mid-century. There is considerable focus on China as a “strong country” or “great power”, phrases which appeared as many as 30 times in Xi’s report. Not surprisingly, building up China’s global combat capabilities gets special attention in Xi’s vision. By 2020, China’s military mechanisation will be achieved; the modernisation of the armed forces will be completed by 2035; and the PLA will be transformed into a world-class military by 2050. Xi also presents an interesting shift from the assurance proffered over past decades that China does not seek to export its model. He has argued that “the Chinese path … offers a new option for other countries and nations who want to speed up their development while preserving their independence, and it offers Chinese wisdom and approach to solving problems facing mankind”. While it is to be seen whether China will actively promote its political and economic model worldwide as a counter to the Western model, there is no doubt about its keenness to play a larger role in global governance, positioning itself as a “defender of the international order” and champion of globalisation, even as it seeks to rearrange the global order towards its primacy. The congress also signals that China will intensify its efforts to shape its periphery and forge a “world community of shared destiny” centred on it. Xi’s Belt and Road Initiative is the preferred instrument in this grand strategy and it is now embedded in the party constitution. Looking back, we can see that the movement away from Deng’s dictum of hiding capabilities, biding time, keeping a low profile and never claiming leadership gained traction after the global financial crisis of 2008-09, which was seen in China as a manifestation of the West’s decline and thereby offering it a strategic opening to expand its role. The second phase of China’s quest for regional and global leadership began with Xi’s ascendance to power in 2012 and his Chinese dream. This period has been characterised by China’s readiness to deploy its economic, military, political and diplomatic clout to advance its interests, defined in increasingly expansive and unilateral terms. These interests include territorial claims in the South China Sea, Doklam and elsewhere. We are on the cusp of a third and more assertive phase in China’s pursuit of its great power ambitions. While ‘multipolarity’ was part of Xi’s lexicon at the congress, one suspects what China seeks is not a multipolar Asia and multipolar world but a hierarchical order where China “restores” its primacy, first in Asia Pacific and eventually, globally.